Alaska Native News Jul 29, 2018. 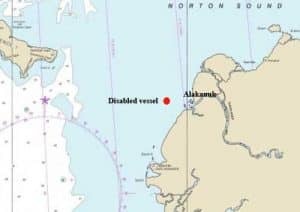 On Saturday, Alaska State Troopers were alerted of an overdue vessel with two adults and four children that had gone missing after they failed to return the night before. In turn, AST alerted the U.S. Coast Guard of the overdue craft. Troopers in Emmonak were informed at 9:45 am on Saturday that a boat had departed the community of Alakanuk at 3 pm on Friday and was to return that evening but failed to do so.AST took to the air to search for the missing boaters as did the USCG. The missing vessel was located 13 miles offshore on Saturday by the Coast Guard. The chopper determined the vessel was disabled. 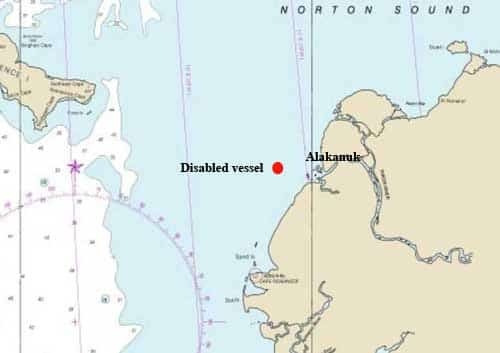 After ascertaining and transmitting the location, two boats out of Alakanuk set out and towed the vessel back to the village.